If you&apos;re planning to sell your home anytime soon, it makes sense to choose your renovations wisely. Some renovations offer an exceptional ROI, while others will just end up costing you unnecessary money. 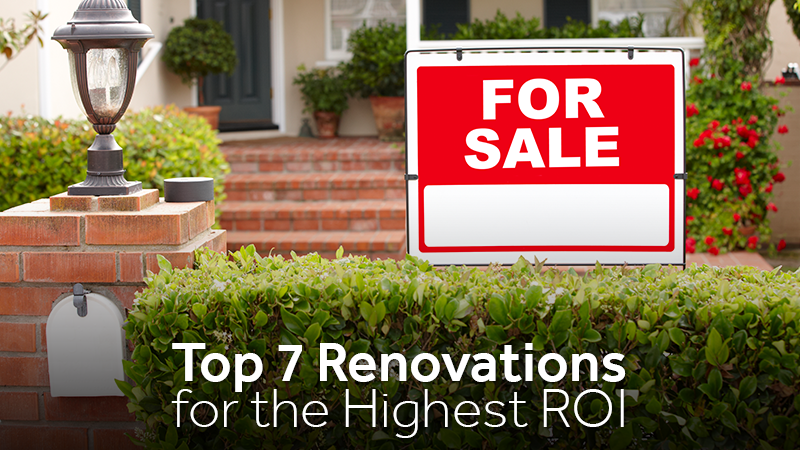 The following renovation options offer some of the highest ROI rates out there, and chances are, you&apos;ll love them too if you&apos;re planning to stay in your home for a while. It&apos;s not a glamorous project, but updating or adding more insulation to your home&apos;s walls, attic and other spaces has one of the highest ROI&apos;s, coming in at about 108 percent. Plus, you&apos;ll love the energy savings you&apos;ll gain in the time you have left in your home. Major kitchen remodels don&apos;t necessarily have a fantastic ROI, but minor updates such as refinishing your cabinets, updating your light fixtures and adding a fresh coat of paint tend to fare better. Those updates can also make your home far easier to sell. Bathrooms are a lot like kitchens; it can be tempting to spend the money on a full overhaul, but you probably won&apos;t get your money back on major projects. Instead, opt for relatively minor cosmetic upgrades like replacing the sink and vanity, flooring and outdated light fixtures. Depending on the market where you live, adding square footage could be the key to selling your house quickly, and for a higher asking price. Finishing your basement typically yields a slightly higher return than finishing an attic space. Remember to choose neutral, airy colors and economical materials for your project. The most high-end options probably won&apos;t pay off in the long run. Though a major kitchen overhaul doesn&apos;t necessarily get you a great ROI, upgraded appliances do. High-efficiency, stainless steel appliances are a huge selling point for many buyers, and they&apos;ll save you a bit of money while you&apos;re still living in the house as well, so it&apos;s a win-win. 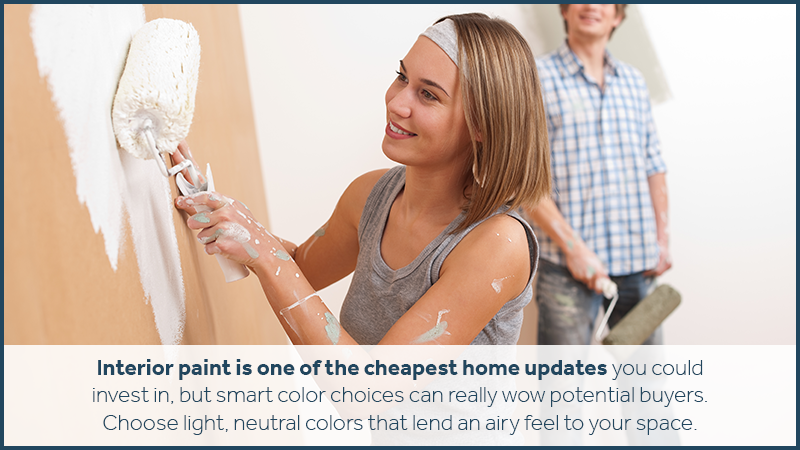 Interior paint is one of the cheapest home updates you could invest in, but smart color choices can really wow potential buyers. Choose light, neutral colors that lend an airy feel to your space, and you&apos;ll completely overhaul your home&apos;s look with for a fresh, clean feel that you and potential buyers will appreciate. Top-of-the-line windows won&apos;t pay for themselves, but if you have old, drafty, outdated windows, replacing them with basic new vinyl windows will go a long way to improve your home&apos;s appearance and energy efficiency. During the renovation process, sometimes you just need to get the extra furniture and stuff out of the way for a while. That&apos;s where Zippy Shell of West Houston comes in! A storage shell offers the perfect space to keep your furniture and belongings safely out of the way when painting, replacing flooring or undertaking another major project. They&apos;re also perfect for moving yourself once your home sells! Contact us to find out how we can help your next project go smoothly!